10. 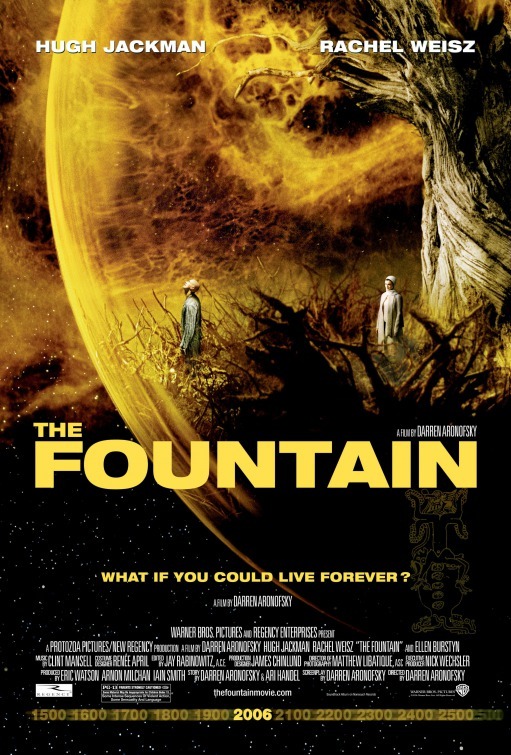 The Fountain As a modern-day scientist, Tommy is struggling with mortality, desperately searching for the medical breakthrough that will save the life of his cancer-stricken wife, Izzi. 9. The Descent A caving expedition goes horribly wrong, as the explorers become trapped and ultimately pursued by a strange breed of predators. 8. Observe and Report Bi-polar mall security guard Ronnie Barnhardt is called into action to stop a flasher from turning shopper’s paradise into his personal peep show. But when Barnhardt can’t bring the culprit to justice, a surly police detective, is recruited to close the case. 7. Children of Men In 2027, in a chaotic world in which women have become somehow infertile, a former activist agrees to help transport a miraculously pregnant woman to a sanctuary at sea. 6. Inglourious Basterds In Nazi-occupied France during World War II, a plan to assassinate Nazi leaders by a group of Jewish U.S. soldiers coincides with a theatre owner’s vengeful plans for the same. 5. Adaptation A lovelorn screenwriter becomes desperate as he tries and fails to adapt The Orchid Thief by Susan Orlean for the screen. 4. Shaun of the Dead A man decides to turn his moribund life around by winning back his ex-girlfriend, reconciling his relationship with his mother, and dealing with an entire community that has returned from the dead to eat the living. 3. The Life Aquatic With Steve Zissou With a plan to exact revenge on a mythical shark that killed his partner, oceanographer Steve Zissou rallies a crew that includes his estranged wife, a journalist, and a man who may or may not be his son. 2. There Will Be Blood A story of family, religion, hatred, oil and madness, focusing on a turn-of-the-century prospector in the early days of the business. 1. Kill Bill: The Whole Bloody Affair Vol 1: The Bride wakens from a four-year coma. The child she carried in her womb is gone. Now she must wreak vengeance on the team of assassins who betrayed her – a team she was once part of.Vol 2: The Bride continues her quest of vengeance against her former boss and lover Bill, the reclusive bouncer Budd and the treacherous, one-eyed Elle.